Hailed as the most powerful military force on the planet, the US military is made up of 5 branches. The current organizational structure was instituted under the National Security Act of 1947. The Secretary of Defense, a civilian, heads the Department of Defense and is a direct appointee of the President. While the branches of the US military are separate entities, they often work with each other, particularly in the times of war, to facilitate a swift movement of troops, equipment, food and armaments as well as medical supplies. 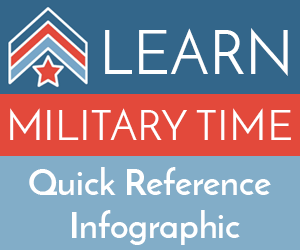 Below is a comprehensive look at the US military branches and what they entail. This is the main ground-force of the United States. The Army’s primary function is to defend and protect the United States and its interests using ground troops, tanks, attack and artillery helicopters as well as nuclear weapons. The Army was established on June 14, 1775, by the Continental Congress and is not only the oldest but also the largest U.S Military Service with more than 400,000 active and enlisted members. The Army is supplemented by the Army Reserves and the Army National Guard, the primary difference between the two being that the Reserves are managed by the Federal government while the National Guard is managed by its respective state. The US Air Force came into being in 1947 through the National Security Act and is the youngest military service. Before its formation, it was a separate arm of the Corps. The Army Air Corps was originally tasked with the responsibility of supporting Army ground forces. It was during the World War II when it was discovered air power had more potential than just supporting ground forces. Consequently, the force was established as one of the independent branches of the US military. Defending the US and interests through exploiting the air and space is the aim task of the force. This is done by operating fighter aircraft and helicopters as well as light/ heavy bomber aircraft. It is also charged with the responsibility to man all military satellites in addition to controlling the United State’s strategic ballistic missiles. The number of commissioned officers actively serving the Force well over 69,000 with about 288,000 enlisted members. The Navy came into being in 1775 and was established by the Continental Congress, just like the army. The Navy’s most important undertaking is to uphold the freedom of the seas. It ensures that the US is able to use the seas when and where its national interests require it. Additionally, the Navy is used to supplement Air Force air power at times of conflict. Navy aircraft carriers are deployed to areas where it is impossible to fix runways. Also, Navy ships are used to attack land targets from miles away through cruise missiles. Navy submarines facilitate stealth attacks on enemies right off their shores. The Navy also transports the Marines to war-torn areas. There are about 324,000 enlisted Navy personnel and around 54,000 officers on active duty. Established on November 10, 1775 by the Continental Congress, the Marine Corps specialize in what is termed as amphibious operations. Their chief specialty is to assault, capture and control the “kingpins”, thereby giving room to attack the enemy from any direction. Amphibious operations are specialty operation, but the Marines have expanded to other ground combat operation in the recent past. The Marines accompany the Army in times of conflict and like to be as self-sufficient as possible for combat operations. They are usually the “first boots” on the ground in times of conflict and have been christened as “the fiercest warriors” on the planet. The Marine Corps have their own air power, complete with fighter and fighter-bomber aircraft as well as attack helicopters. Nonetheless, the Marines use the Navy for most of their administrative and logistical support. There are about 153, 000 enlisted and approximately 18,000 Marine officers on active duty. Originally established as the Revenue Cutter Service in 1970, the Coast Guard is mainly concerned with enforcement of the law, sea rescue, control of illegal immigration and boating service. The Coast Guard uses aircraft, shore stations, and boats as well as ships to carry out their mandate. However, the President can transfer a section or all of the Coast Guard to the Navy department in times of war. The Coast Guard falls under the Department of Transportation. The US military men and women are stationed in more than 100 countries in the world among them the United Kingdom, Italy, Afghanistan, Iraq, Japan and South Korea as well as Bahrain just to name but a few. Just one of the many reasons that military time is so important to all branches of the armed services across the world.